Here is an updated review on the free CyberGhost VPN account and download, as well as how to obtain a free trial of the pro version in 2019. Somewhat confusingly, CyberGhost says on the FAQ that the free version of their VPN service has been discontinued since 2017. This is not entirely true however! You can still access the free version download under this link. On that page, scroll down to the bottom, where it says download. Above is the screenshot of the free CyberGhost 5.0 for Mac. The download of the VPN software, is also available for Windows (7, 10, etc), macOS, iOS, Android and others such as various Linux distributions. Or perhaps you are just interested in a free trial of the upgraded, pro level VPN plan (sometimes called premium). No need for trial keys, coupons or codes! Simply click here to get started with a free CyberGhost trial. On the landing page, click on the corresponding icon for your choice of platform that you want to have the internet connection secured for. Unfortunately the free trial version is not available for all platforms, instead you could try the free version of CyberGhost for others, if available. While the completely free version of their VPN, and secure proxy does exist. There are some serious limitations to it, more than have been in the past. It’s increasingly obvious, that they want you to upgrade to a paid plan. First of all, you are limited to a small selection of server country locations (Finland, Spain, Czech Republic, Poland, Ukraine, Italy, Netherlands, Romania, France, UK, Germany and the USA), 12 in total. This excludes all premium servers. The paid pro version, has 60 countries in total. Yes. This means, that connection speeds will be significantly slower than normally on paid, pro accounts. So if you are doing a trial with this version, please bare in mind, that it will likely be a whole lot faster once you upgrade. 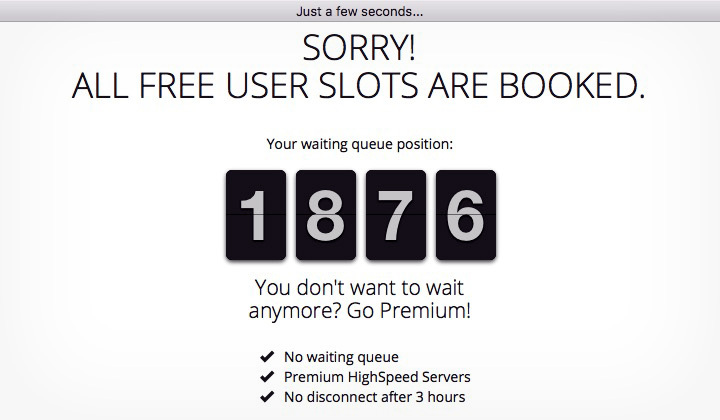 You are put into a queue before you can start your VPN connection. Which looks fake btw, and it happens every single time you connect. And it will disconnect you after 3 hours, so you’ll have to re-connect and wait through this magical queue splash screen again. Not too much fun. Nevertheless, you can download the free CyberGhost 5.0 here. Some sites claim to circulate, nulled crack downloads of the software. These are malicious websites, and no such cracked, full versions actually exist. 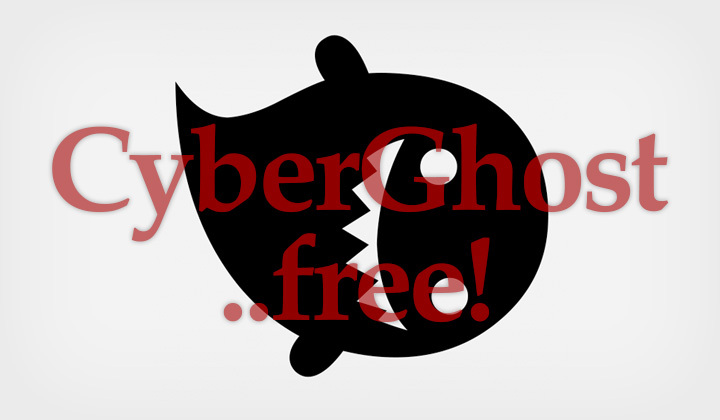 Account validation is done on the server end, and therefore CyberGhost VPN cannot be nulled..! CyberGhost has been around for a long time, and they’ve been part of pioneering easy-to-use VPN connection clients, as well as free VPN of course. United Kingdom (UK), Sweden, Taiwan, Australia, South Africa, Belarus, New Zealand, Japan, Switzerland, Croatia, Ireland, Israel, Iceland, Austria, Slovenia, Lithuania, Spain, Chile, Vietnam, United States (US), Netherlands (Holland), Argentina, Kenya, Romania, Colombia, Portugal, South Korea, Denmark, Slovakia, Singapore, Estonia, Hungary, Belgium, Poland, Brazil, Canada, Malaysia, Latvia, Italy, Bosnia and Herzegovina, Moldova, Hong Kong, Finland, Ukraine, Norway, Cyprus, Czech Republic, Luxembourg, Costa Rica, Pakistan, France, Greece, Albania, Germany, Thailand, Serbia, India, Bulgaria, Macedonia. And that’s about it. Thanks for reading! Having any problems obtaining CyberGhost VPN for free? Questions, and shared experiences to this review this way please. A word of monetary nature; Some of the reviews, posts and pages on this blog at times contained ‘nofollowed’ affiliate links. They are there to support my time, sitting here writing the content, which I hope is mutually beneficial. Thanks for your kind support. Saludos, David.